God Emperor of Dune (Signed). About Frank Herbert (Author) : Frank Herbert is a published author and a narrator of young adult books. 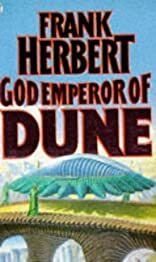 Some of the published credits of Frank Herbert include Children of Dune (Unabridged), God Emperor of Dune.